I am very impressed about this and the two previous posts. But after thinking a while about it, I’m not sure if Microsoft helps us a lot for this kind of self service BI… My question is: What do I have to do if I want to see the weather forecast for Amersham on April the 22nd? As I understood I have to change the underlying query in power pivot, reload the data into power pivot, refresh excel and refresh layerscape. And if I want to see the forecast for London, I have to do the same again. I want to read data from a database in the cloud into Excel. Why do I have to use a second “database” (PowerPivot) to manage this? In my opinion it would be much more straightforward if I could use Marketplace (or other OData-Feeds) directly from Excel and if a filter in Excel (e.g. on Amersham) goes directly into the $filter-parameter of the feed’s URL. Of course a few features of PowerPivot would be useful in this scenario (e.g. 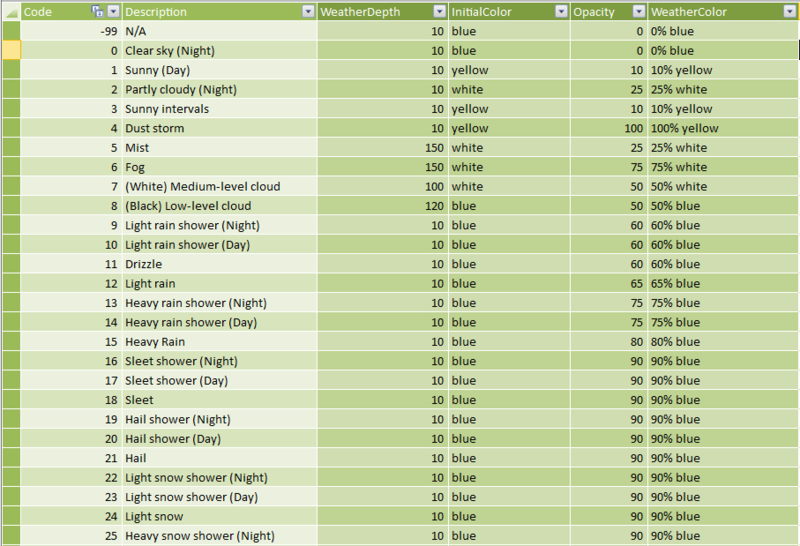 linking tables), but PowerPivot as a data-buffer is not needed. I’m working in ERP business and I’m trying to use Excel as a frontend to the ERP-data (including some web-service based calculated data), such that the end-users can do their own analytics without using an OLAP-database. At the moment I see no easy-to-use Microsoft solution in this scenario. 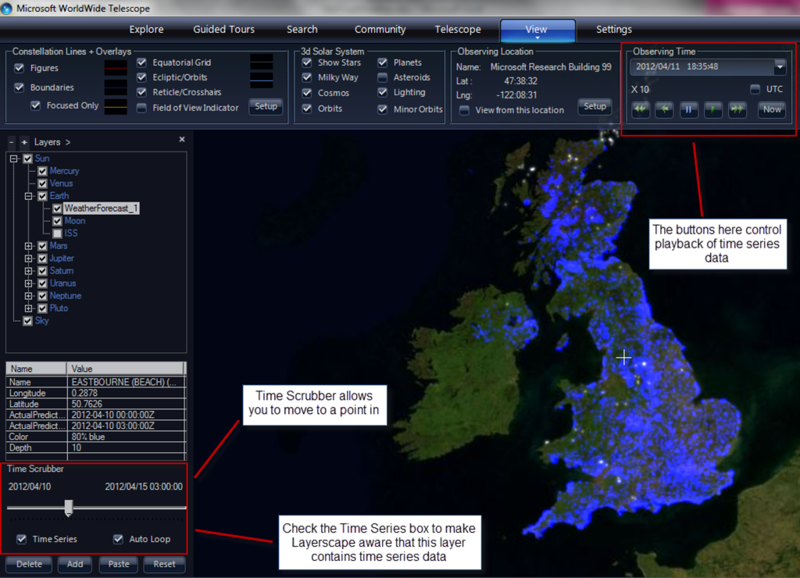 …and of course you could also use Data Explorer to do this too. 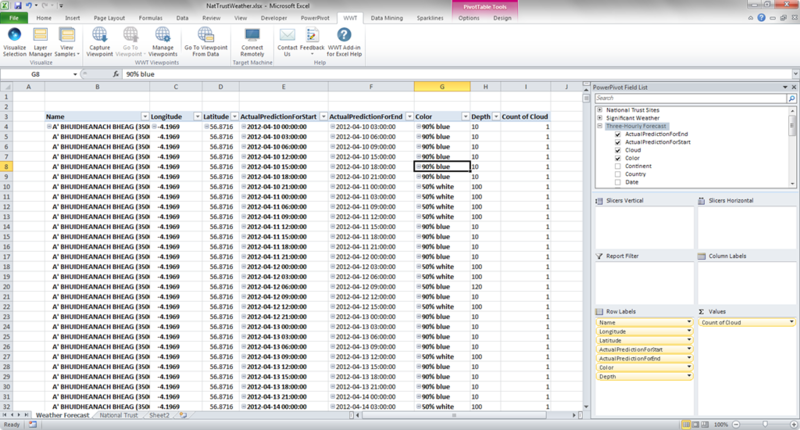 However, it’s not very often that you can import data into Excel in exactly the format and layout that you need it, and that’s why PowerPivot as a buffer is so useful: it allows you to get the data in exactly the layout you want by building a PivotTable. I did not know Data Explorer. Thank You for the hint.